No other game fish stirs the passion of the dedicated steelhead fly fisher as does this big sea-run rainbow—whether rising to intercept a dry fly skated across a September tailout on a high-desert canyon river in Oregon, or taking a deeply swinging wet fly on a swollen springtime river in coastal British Columbia. From his longtime base on Washington State’s legendary Skagit River, highly regarded steelhead guide and fly fisher Dec Hogan has done and seen it all. 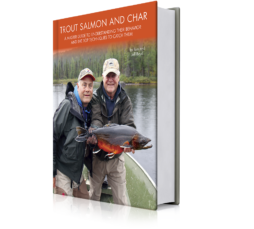 With this book, Dec brings together a lifetime of solid steelheading experience. 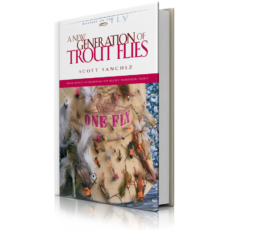 It was quickly recognized as a modern fly-fishing classic. 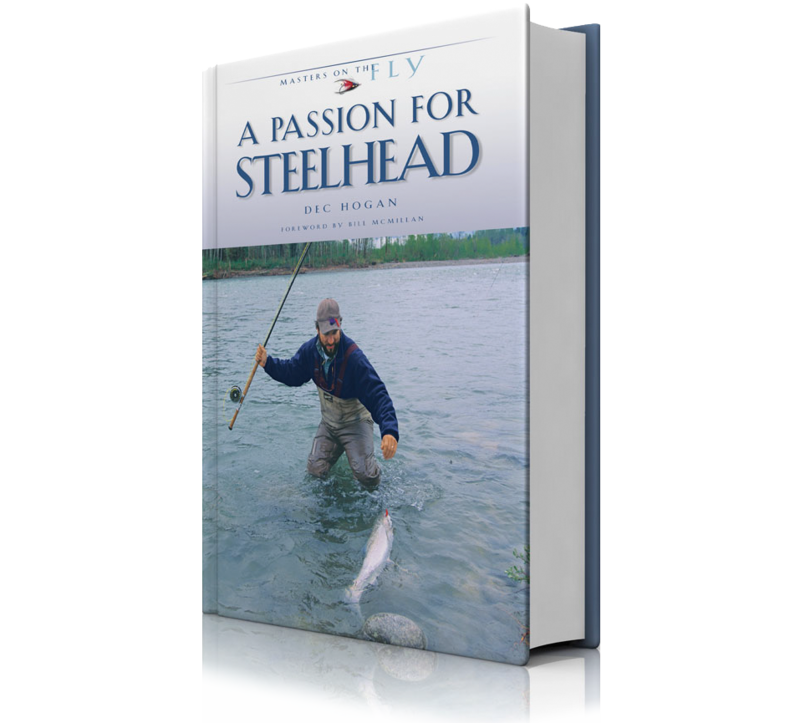 A Passion for Steelhead covers all the basic techniques proven on thousands upon thousands of steelhead successfully hooked, selecting the best fly for various river conditions, choosing the right tackle for you, effectively covering different water types, learning to spey cast, practical strategies for finding productive streams by the season, and a fascinating and highly original look at how steelhead take (or refuse) a fly, based on the author’s personal observations of more than 1,000 summer-run steelhead movements during nine intense seasons. 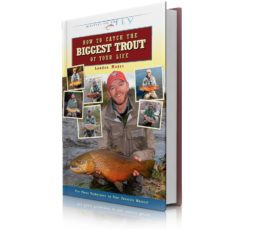 This book is filled with the author’s own impressive color photography and illustrated with many beautiful pencil sketches of two-handed casting and steelhead taking the fly. 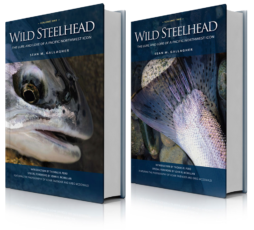 “If you really want to learn about steelhead, read this book. Then read it again.” ~Bob Clay, steelhead guide and noted bamboo rod maker.